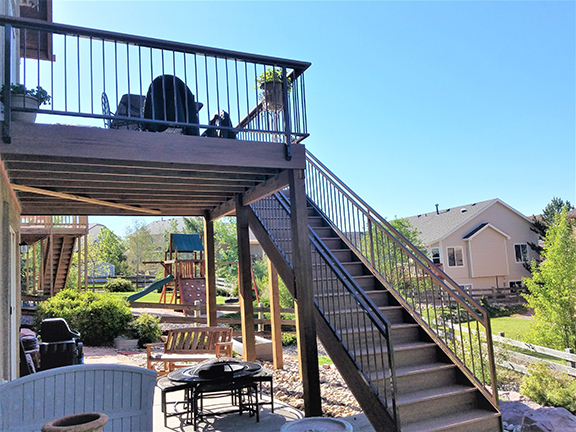 A standard deck that we rebuilt is transformed with composite Trex decking that will last. The handrail has been powder coated to give a lasting finish. 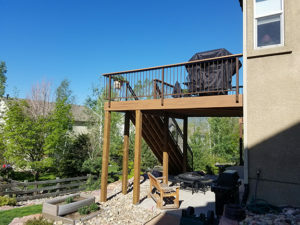 Also, being fascia mounted it gives more room on the deck, especially the small master deck, and leaves room under the railing to make shoveling snow easier as it slides off the deck and you don't have to lift it over the rail.